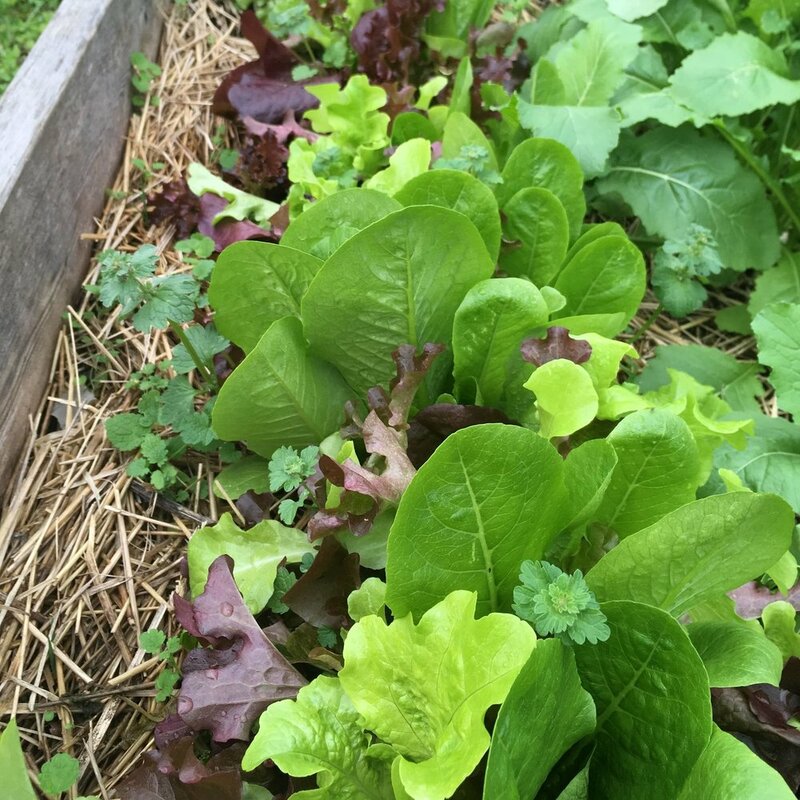 1st and 2nd graders have been using their senses to explore the garden and the foods we eat. American and Howard learned about the five basic tastes by taste testing the ingredients to a dressing separately, then tasting them all together. They preserved our green bean harvest by making dilly green beans, which taste a lot like pickles. 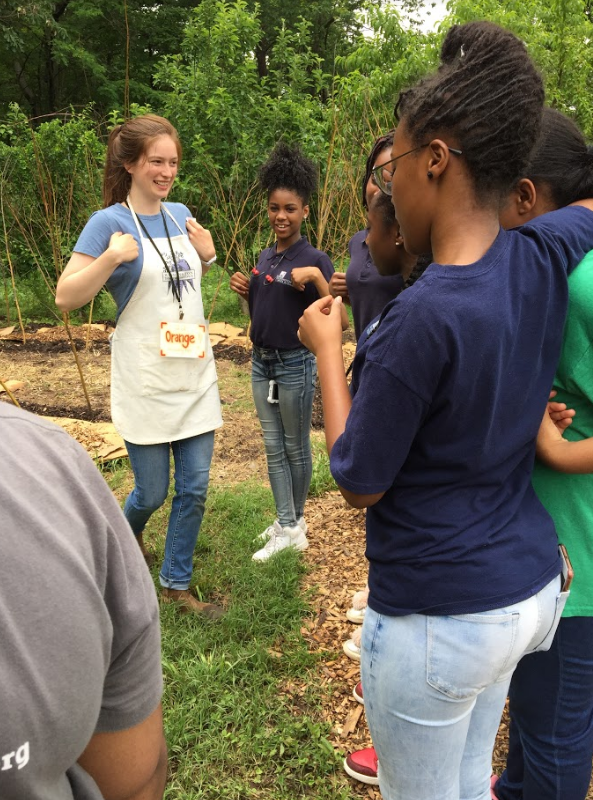 Georgetown and JCSU used their sense of hearing to create a sound map of the garden and their sense of smell to compare chives and holy basil. Hello from Ms. Allie and Ms. Salsa! We are the garden team at KIPP Webb Campus this year! 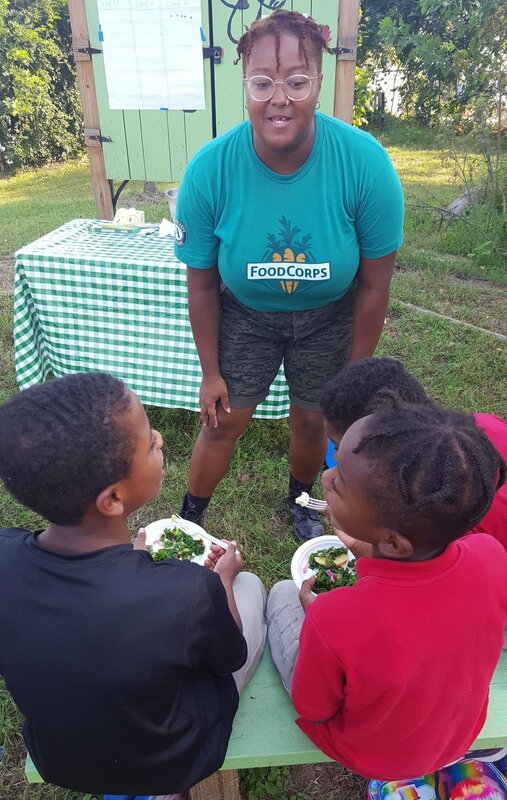 This fall we’ve hosted over 200 students in the garden, given 29 lessons, and taste tested five recipes. 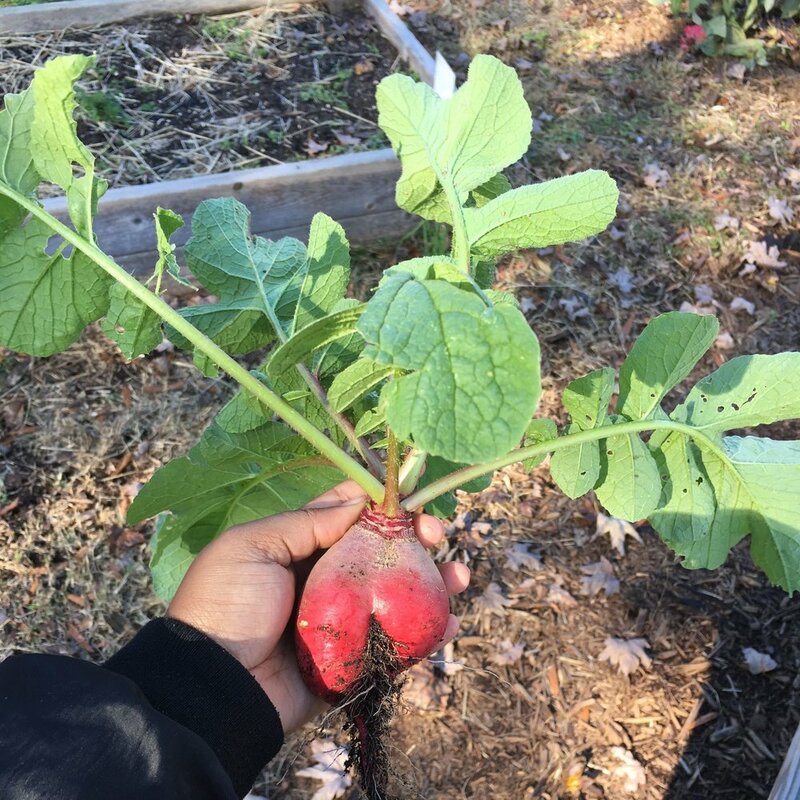 The garden is currently slowing to a halt as the weather gets colder, but we’ve still got broccoli, kale, tatsoi (a tender Asian green similar to spinach), beets, turnips, and radishes growing. Georgetown second graders helped plant garlic, which will stay in the ground over the winter and start growing as it warms up in the spring. Combine the dressing ingredients (lemon juice, olive oil, salt, pepper, maple syrup) and mix. Pour over lettuce, turnips and enjoy! Look out for last harvests from the garden during Friday dismissals in the Spring lobby, and potentially a family cooking night in January. Let us know if you’re interested in volunteering to help re-do our herb spiral in the coming weeks, water the garden over winter break, or volunteer to help get the garden growing again in the spring! 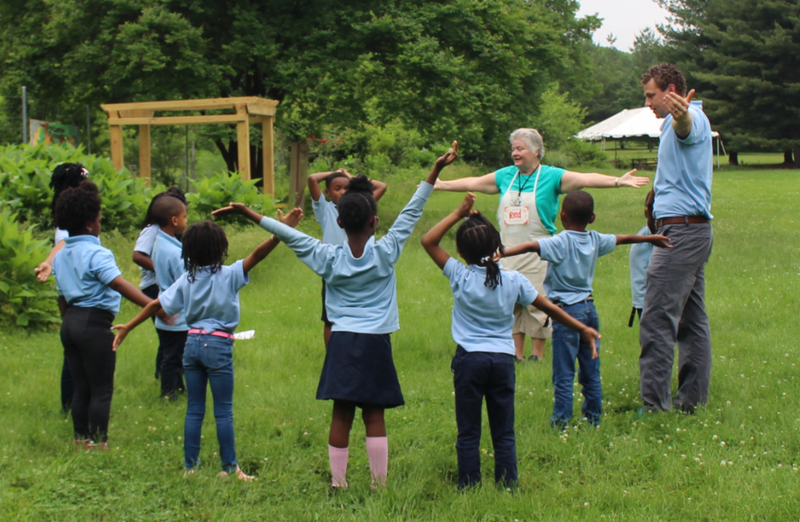 Want to know more about our garden partner, Washington Youth Garden, a program of Friends of the National Arboretum? 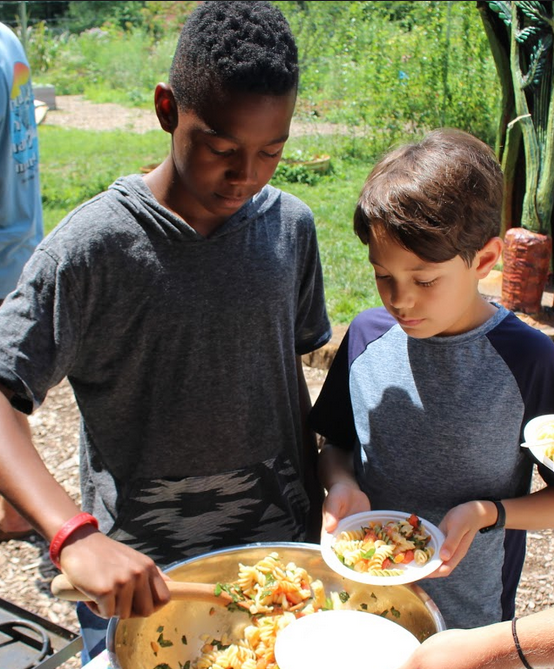 Email Brianne Studer at bstuder@washingtonyouthgarden.org. This fall, Ms. Okorie’s class has been learning about plant parts and getting to know the garden. They loved exploring the garden through a scavenger hunt, playing a plant parts matching relay and eating plant part salads! 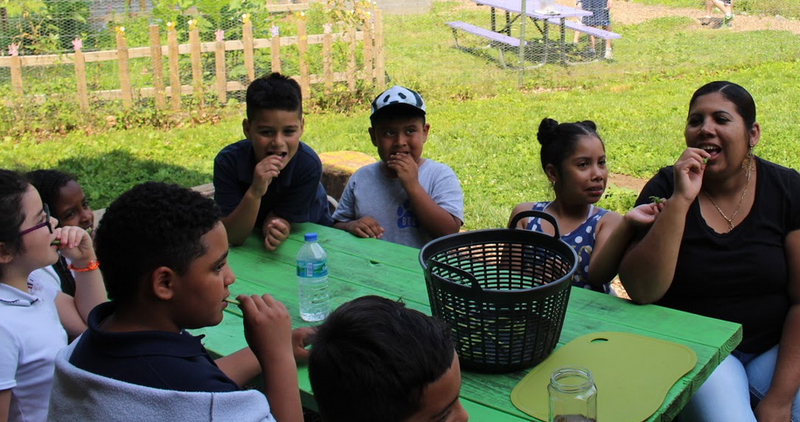 This fall, the K-3rd grade students part of the UPO after school program have been doing various garden activities. 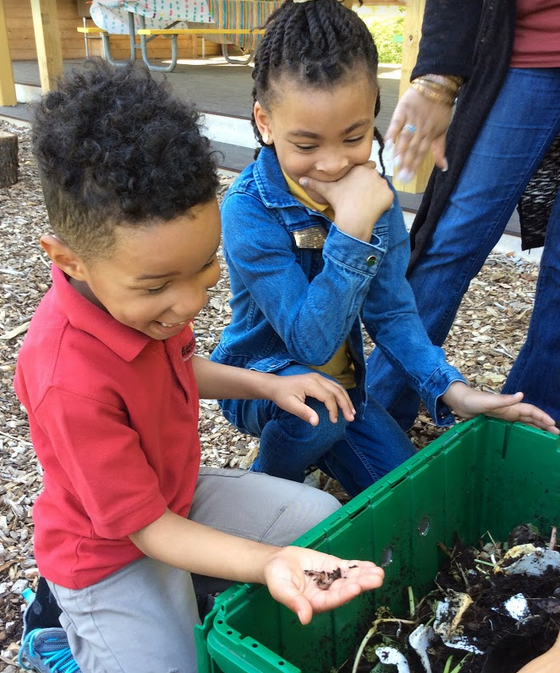 Exploring the compost worm bin, scavenger hunts, making their own dream gardens, and life cycle crackers are just a few of the activities these students have enjoyed these past few weeks. Hello from Ms. Simmons and Ms. Bogle! 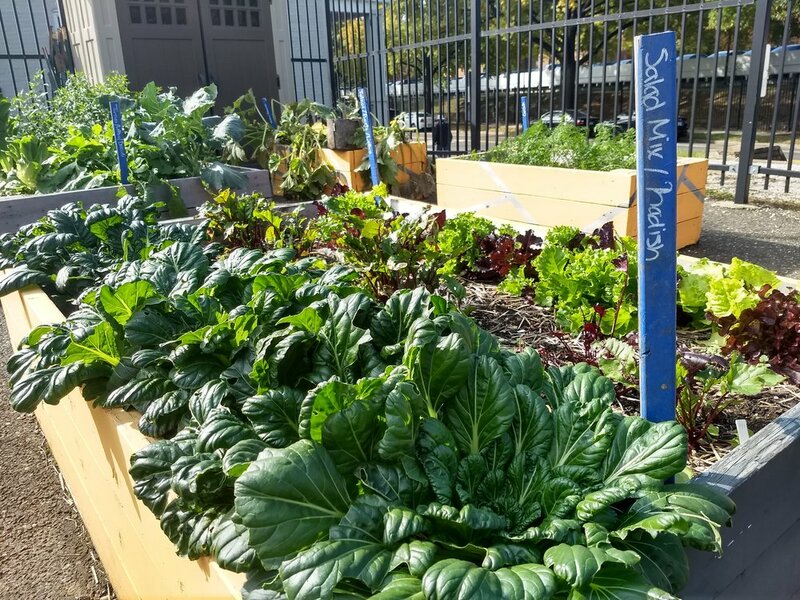 We are the garden team at Hendley Elementary School this year and we’ve been so excited to share our love of gardening with all of you! This fall we’ve had lessons with about 150 students ranging from Pre-K to 4th grade. We’ve done a few tastings: tomato, basil, mozzerella skewers at Back to School Night and squash soup at the Hendley Fall Festival. Thank you to the volunteers for beautifying the garden during the our fall garden work day and we can’t wait to see more students, families, teachers, and staff in these upcoming months! Prepare vegetables, toss with olive oil right on the roasting pan or rimmed cookie sheet. Roast for 40 minutes, stirring once or twice, cooking until squash is fork tender. Cool for 10 minutes. Put cooled vegetables into a pot with broth or water and puree using an immersion blender. (or, put vegetables with some broth into blender, to puree, then put in pot). Warm as needed and add salt and pepper to taste. Kale, carrots, cauliflower, Broccoli, sweet potatoes, potatoes, squash, beets!